Bentonite properties make it very useful in mud rotary drilling? The word ''mud'' - in common everyday usage - simply means wet dirt. Note: The content on this page has been adapted from publications of Lifewater International, authored by Fred Proby. But in well drilling, the term ''drilling mud'' means a carefully engineered drilling fluid. Do not think that any old dirt will do the job. Bentonite properties include the ability to expand to ten times its volume when completely hydrated. It creates a very viscous, slippery, almost gel-like slurry that acts as a lubricant. The viscosity (runniness) of the slurry can be manipulated by adding water to make it thin or adding more bentonite to make it thicker. These properties make this material very useful in the process of mud rotary borehole drilling. In mud rotary drilling, the mud you mix plays several roles and is vitally important in the successful drilling and completion of a well. Your skill in forming and maintaining a proper drilling mud and maximixing bentonite properties will determine your long-term success at completing good water wells with a mud-rotary drill rig. This is especially true when working with a low-power drilling rig like the LS200 or LS300. Drilling without good bentonite properties and proper mud may limit the depth that can be achieved, greatly increase the risk of getting the drill bit stuck, make it difficult to properly develop the well, and reduce the yield of the well. Part 3- ''Using Mud'' gives practical advice on how to properly use drilling mud. 1.Drilling mud helps remove cuttings from the bore-hole. This is important because otherwise cuttings will collect at the bottom of the borehole and lock up the drill bit. It does this by increasing the viscosity of the drilling fluid (we'll discuss this in more detail later). 2.Drilling mud maintains hydrostatic pressure against the borehole wall, keeping it from collapsing. The height of the column of drilling mud above the water table is called the ''hydrostatic head''. When drilling in sand and other soft sediments below the water table (flowing sand) a hydrostatic head of at least 3 meters (10') is needed to guard against borehole collapse. 3.Drilling mud seals the borehole wall with a thin ''wall cake". This is important because the wall cake formed by good drilling mud helps stabilize the borehole wall, keeping it from collapsing. Also, the wall cake keeps the drilling mud from migrating into the aquifer where it is hard to remove during well development and can reduce water flow into the well. 4.Drilling mud lubricates and cools the drill bit. This is important because a stuck bit puts an end to drilling and a hot bit wears out faster. Good drilling mud can remove cuttings from the borehole because it has a high viscosity. Viscosity is a fluid's resistance to flow; the greater the resistance, the higher the viscosity. 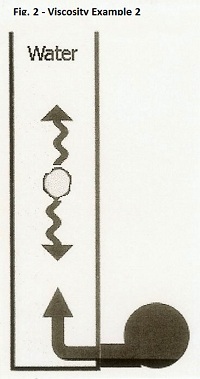 The viscosity of drilling mud is measured with a Marsh Funnel (described later) and is expressed as the number of seconds that it takes for a quart of drilling mud to pass through the funnel. The following illustration helps to see how increasing the viscosity of our drilling fluid helps to remove cuttings. Picture a tube filled with water. Drop a small stone in the tube and think how fast it will drop to the bottom. See Figure 1. Now picture a tube filled with oil. Would the same stone drop faster or slower in oil than in water? It drops slower in oil, because oil has a higher viscosity than water. Now imagine that the tube has a pump at the bottom that is pumping water up the tube. What happens now when you drop a rock in the tube? Depending on the weight of the rock and how fast the water is moving up, the rock will either drop slower than it did in the still water or it might be pushed up out of the tube. See Figure 2. It is easy to see that by increasing the pumping rate we can keep the stone from dropping to the bottom of the tube. Consider if our pump is at its highest speed but the stone is so heavy that it still drops to the bottom. What would happen if we replace the water in the tube with a fluid that has a higher viscosity than water - like drilling mud? The fluid with a higher viscosity pushes harder against the stone so that without increasing the speed of the pump we are now able to lift the stone. See Figure 3. This is what happens when drilling with the LS100 or LS200 rig. The mud pump does not have a large range of speed. We are usually running the pump at or near its top speed. So if the cuttings are not being lifted out of the borehole we cannot increase the upward speed of our drilling fluid. But we can increase the viscosity of the drilling fluid. This makes it possible to lift even large gravel out of the borehole. But lifting cuttings out of the hole is only half of the job. The drilling mud is circulated back into the borehole so the cuttings need to settle out in the mud pits. See figure 4. Otherwise, sand will be pumped back into the borehole and that wears out the mud pump and swivel, and can clog the bit. Good pit design plus proper mud viscosity equals successful drilling. The drilling mud needs to be thick enough to lift the cuttings, but not so thick that the cuttings can't settle out when the mud slows down in the mud pits. Achieving this balance takes practice and is the key to successful mud rotary drilling. The goal of mixing drilling mud is getting the right viscosity for the drilling conditions. Making good drilling mud is like baking a cake. It will only come out right if you use the right ingredients in the right amounts. Water is the starting point for making good drilling mud. It should be fairly clear and fresh; salty or brackish water will not work well. The water should not have a high mineral content (termed ''hard'' water) and it must have a pH in the range of 8.5 to 9.5 (slightly alkaline). The water used to make drilling mud should always be checked using pH test strips (often available at a pharmacy) or a pH meter. The total volume of the mud pits should be roughly three times the volume of the borehole to be drilled. In addition to the water in the mud pits, it is wise to keep a supply of make-up water - at least one 55-gallon drum - ready in case there is sudden fluid loss. It takes a LOT of water to drill a well with the mud rotary method, so careful planning is needed to ensure that enough water is available before drilling is started. Many drill crews keep a small gas-powered pump that can lift water from a stream or pond. They use this to fill 55-gallon drums in the back of a truck. This way, one crew member with the help of a few villagers can get more water without having to stop drilling. Some drilling crews use a large portable ''bladder tank'' to store their water so they do not need to make refill runs. It is sometimes said that when drilling in clay the borehole ''makes its own mud". This is simply not true. Water and dirt does make ''mud'' - but that is not good drilling mud. There are many different kinds of clay and each kind has different properties. Good drilling mud is made with ''bentonite'' clay. Bentonite is a very special type of clay that comes from weathered volcanic ash. It is mined and processed from just a few areas; the largest commercial deposits are in Wyoming, USA. Wyoming bentonite is shipped all over the world for use by professional drillers and others. One of the special properties of bentonite is the way it quickly swells to as much as 10 times its original volume when it is completely mixed with water. When bentonite has completely swelled, it is said to be fully hydrated. 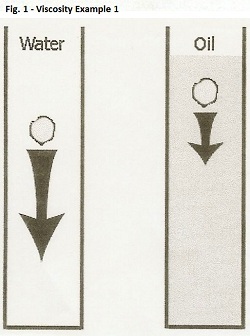 When the water condition is correct (see below) a high-quality bentonite designed for water well drilling will take at least 30 minutes of mixing through the mud pump before it is fully hydrated. If the water is too ''hard'' or the PH is not in the range of 8.5 to 9.5, then the bentonite will take longer to hydrate, or might not fully hydrate at all. The amount of bentonite needed to make a good drilling mud depends on the formation being drilled. As different soil types are encountered, it may be necessary to adjust the viscosity of the mud by adding more bentonite (already hydrated) or more water (conditioned with soda ash). Most high-quality or ''premium'' bentonite, with good bentonite properties, sold for water well drilling comes in 23 kilogram (50 pound) sacks. The amount of bentonite required to achieve the viscosities listed above ranges from one-half to a full sack per 378 liters (100 gallons). As we will learn in the following lessons, good bentonite propertes will be best achieved if you first mix the bentonite very thick - a full sack in a 55-gallon drum of water - and then lower the viscosity to the desired range by adding water after putting the hydrated bentonite into the mud pits. The best bentonite properties will be achieved using this method. There are different grades of bentonite with different bentonite properties. ''Premium'' or ''High Yield'' has the best bentonite properties and is best for drilling water wells. The oil drilling industry sometimes uses a grade that is coarser and which does have excellent bentonite properties and does not swell as much as high quality bentonite. The oilfield grade may be half the cost of premium bentonite. But oilfield bentonite does not have the best bentonite properties and may require four sacks to reach the same viscosity as one sack of premium bentonite, so it is not a bargain. Soda ash is one common name for sodium carbonate. It is a harmless white powder used in the making of glass and in many other industrial applications. Soda ash can often be purchased in the detergent section of stores as washing soda, sal soda, or natron. (Sodium bicarbonate, called baking soda, is not the same thing). Soda ash dissolved in water - before adding bentonite - will improve the bentonite properties by adjusting the pH and the ''hardness'' of the water to the ideal range for hydrating the bentonite. Mix approximately 60 grams of soda ash per 100 liters of water (or 1/2 pound per 100 gallons). If the water is far below or above the desired range of PH or hardness, then twice the amount of soda ash may be used. When make-up water is added to the mud pits, it should also be treated with soda ash if the water is not already in a pH range of 8.5 to 9.5. Having the mud ''go bad'' while drilling because the water chemistry has changed can lead to a stuck bit or collapsed borehole. The best bentonite properties can be maintained by being certain of the pH of the drilling mud. Drilling polymer is a special form of starch that gets very thick when mixed with water. Using polymer in the drilling mud will improve the bentonite properties. It comes as white granules or as a clear liquid. Liquid polymer is easier to mix, but dry polymer is weighs less and so is easier to store and transport. There are different kinds of polymer, and not all types behave the same way. Some common polymers are Poly-Sal, EZ-Mud DP, and Kwik-Vis-D. (An older type of polymer was called ''revert'' and this term is still used by some drillers to describe a polymer. )All can be added to the drilling mud to improve the bentonite properties. It is necessary to read the manufacturers instructions to be sure you are using the polymer correctly so as to achieve the best bentonite properties. In general, it takes a very small amount of polymer to make a thick drilling fluid. When drilling in heavy clay, the clay will clump together to form chunks that can be as hard to remove from the borehole as large gravel. So the drilling mud needs to be thick enough to lift these cuttings. If not removed, the clumps can form a ''boot'' or ''collar'' around the drill pipe, cutting off circulation. Adding polymer to the drilling mud - after the bentonite is fully hydrated - improves the bentonite properties and will help prevent these clumps from forming. Completely hydrate the bentonite first and then add polymer.This will help maintain the best bentonite properties. If polymer is added before the bentonite is fully hydrated, then the polymer will coat the grains of bentonite, degrade the bentonite properties, and prevent them from absorbing any more water. The result is small clumps of dry bentonite that will migrate into the formation. If the drilling mud already includes polymer, and additional bentonite is needed to increase the bentonite properties of viscosity or to replace lost drilling fluid, first hydrate the bentonite in a separate mixing drum before adding it to the active drilling fluid. Different polymers are used at different rates, so check the manufacturer's specifications. The recommended rate for two common dry polymers (Bariod ''EZ-Mud DP'' or WYO-BEN ''Kwik-VisD'') in a bentonite-based drilling mud ranges from 30 to 90 grams per 100 liters (0.25 to 0.75 pounds per 100 gallons). A range is given because the drilling mud may need more or less viscosity for the particular formation. Use the minimum amount of polymer needed to maximize bentonite properties and lift cuttings out of the borehole and keep clay from clumping. A simple method for measuring the proper amount of polymer for optimum bentonite properties is given "on another page"
Polymer may be used by itself, instead of an additive to bentonite, when reaming the borehole. The mud pits are pumped out to remove all of the bentonite, fresh water is mixed with polymer using the mud pump, and drilling is resumed. This method removes most of the bentonite wall cake thus making it much easier to develop the well. Because polymer may be more expensive or more difficult to obtain than bentonite, some drillers switch to polymer only when they are reaming the aquifer zone where they plan to place a well screen. Polymer is easily broken down (made thin like water) by adding common household liquid bleach (3%-5% sodium hypochlorite). This is the same bleach used to disinfect the well after installing a hand pump. It takes about 4 liters (l gallon) of bleach to break down 400 liters (100 gallons) of polymer, when the drilling mud is only polymer and water. Only the fluid in the borehole needs to be treated. A 30-meter (100') borehole 200 mm (8") in diameter has a volume of around 900 liters (240 gal.). So, when drilling with polymer alone, it would take 9 liters (2.4 gal.) of bleach to treat the polymer when the well is being developed. If polymer is used only to enhance bentonite properties and the drilling mud, then much less bleach is needed to break down the polymer. If the polymer is not broken down with bleach, then it can promote bacteria growth. For this reason, whenever polymer is used, it is important to add bleach to the well as it is being developed. A manufacturers' application rate for a drilling mud component - such as 1/2 pound per 100 gallons - can be difficult to relate to the volumes that are being used on a LS100/200 well drilling site. 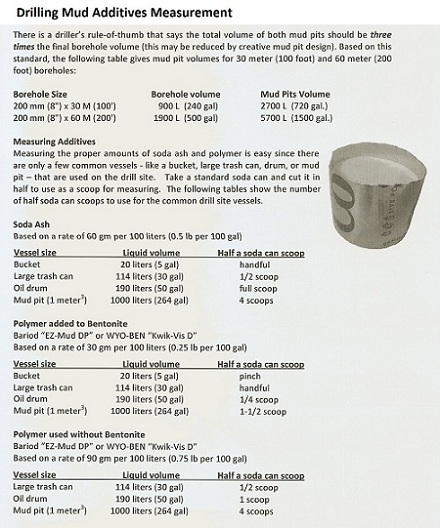 So a simple measurement method and a set of tables are presented here: to make it easier to determine how much water, bentonite, soda ash, or polymer to add to maximize bentonite properties for a given situation. At most drill sites, getting enough water is the greatest challenge. It may take several hours for an army of women and children, walking from a river 2 km away carrying buckets of water on their heads, to fill just one mud pit. So it is essential to plan ahead for how water will be brought to the drill site and stored during drilling. It is very useful to have extra 55-gallon drums, a small 12-volt water pump, and hoses so that water can be collected from a source a distance away from the drilling site. Carry the drums in the drilling equipment transport truck to a river or pond, hook the pump to the truck battery and pump water to fill the drums. The pump can also be used to transfer water from the drums on the truck to the storage drums at the drilling site. As noted above, using a portable ''bladder tank'' is an efficient way to store water on the drilling site. When finished, the tank can be easily drained, rolled up, and loaded on a truck by two men. Bladder tanks come in sizes ranging from 1,000 liters to more than 200,000 liters. A 6,000 liter (1,585 gallon) tank should provide enough capacity for a LS200 drilling operation. Gathering water to fill a bladder tank is no less work than when using 55-gallon drums to store water, but the bladder should need to be filled only once at a drill site so drilling would not be interrupted to collect more water. Return to "Introduction to Bentonite Clay" from "Bentonite Properties"